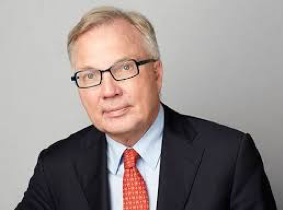 Fritz Schur has been a key figure in Danish business since the 1980s, holding board memberships at several large Danish corporations and having been chairman in companies like DONG Energy, PostNord and SAS Group. Fritz Schur started his own business in 1973, where he later became CEO of the Fritz Schur Group in 1978. Since the 1980s, he has held several board member positions in companies such as Interbank, NESA, PostNord, DONG, SAS Group and Experimentarium. He was appointed as Finnish consul in Copenhagen in 1996 and has held the position as the Honorary Consul General of Finland to Denmark since 1999. Since 2010 Fritz Schur has been Chamberlain to Her Majesty the Queen and holds a number of international decorations such as Commandeur, 1er Classe, de l’ordre du Lion de Finlande; José de Marcoleta Republica de Nicaragua en el Grado Encomienda (Commander’s Cross); Commander's Cross of v Kungl. Nordstjärneorden, and Chevalier dans l'Ordre de la Légion d'Honneur. Fritz Schur holds a B.Sc. in Economics and Business Administration from Copenhagen Business School.